The Gulf Coast is in trouble and needs help, and Sophie B. Hawkins is committed to doing just that. 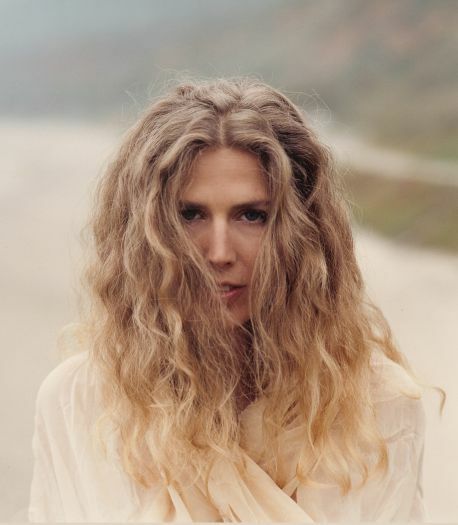 An accomplished musician, Sophie B. Hawkins emerged in 1992 with her debut album, Tongues & Tails, featuring her hit “Damn, I Wish I Was Your Lover”, which struck Gold and earned her a Grammy nomination for Best New Artist, and followed up two years later with “As I Lay Me Down”, which charted on Billboard for a record breaking 67 weeks. She will be headlining in a special benefit concert at The Ridgefield Playhouse to help with clean-up and relief efforts to save the Gulf coast on Friday, June 11, at 8 p.m. Also performing is Matt Duke. In addition to a portion of the proceeds earmarked for the Waterkeeper Alliance, 100% of Sophie’s CD sales that evening will go towards the Gulf environmental clean-up effort. The media sponsor is WEBE 108fm. This show is part of the Doyle Coffin Architecture Singer/Songwriter Series. The Waterkeeper Alliance, an organization of on-the-water advocates who patrol and protect over 100,000 miles of rivers, streams and coastlines in North and South America, Europe, Australia, Asia and Africa, is now working to help the oil spill recovery efforts in the Gulf of Mexico. “Imagine the long term effects of this disaster,” says Ms. Hawkins. “Just because we don't see the devastation, like another disaster we see directly and react to immediately with an outpouring of money and love, doesn't mean it isn't as bad. As Einstein said, we need to expand our circle of compassion.” An accomplished musician, Sophie B. Hawkins has been honored for her abilities as both a singer and songwriter. Her chart-topping single "As I Lay Me Down”, was on Billboard for a record-breaking 67 weeks. With her 1999 hit Timbre, Sophie won universal respect for her rare style of gutsy honesty. In addition to her involvement with environmental issues, Sophie B. Hawkins is at work writing a Broadway musical for Kristin Chenoweth (of “Wicked” and “Promises, Promises” fame) and is also working on a new album. “When I first started out, I didn’t know what style I was,” says Matt Duke, a South Jersey-born, Philly-based, 24-year-old singer-songwriter. “I still don’t and probably never will.” Matt stands out in an industry that loves to categorize. His second full-length album and first for Ryko, Kingdom Underground, came out in 2008 and rocked a fairly big sound. However, Matt tours primarily as a solo acoustic singer-songwriter, so his fans have come to expect a slightly quieter fare from him, which is how the “Acoustic Kingdom Underground” EP came about. For tickets ($38.50) and more information about The Ridgefield Playhouse, call the box office at 203-438-5795, or buy tickets online at ridgefieldplayhouse.org. The Playhouse is located at 80 East Ridge, parallel to Main Street, Ridgefield, CT.